Max Francois Germanos is an art collector. ‘Max, aka “The G”, not only collects some of Australia’s best painters but he has a bleeding heart when it comes to the artists he admires. In this mundane, market-driven art world it was so refreshing to meet someone who gets so hyped talking about Australian art,’ says Griggs. ‘That passion carries over into his love for music, especially the band U2. It was The G who saved me during a dark period in my life two years ago. When you’re on the edge of sanity you know who your true friends are. The G would visit me every other day and drive me around listening to U2. We would talk about boxing and strength as a metaphor for survival. I wanted to paint him as a personal thank you for all his kindness during that time. Born in Sydney in 1975, Griggs has studios in Sydney and Manila. 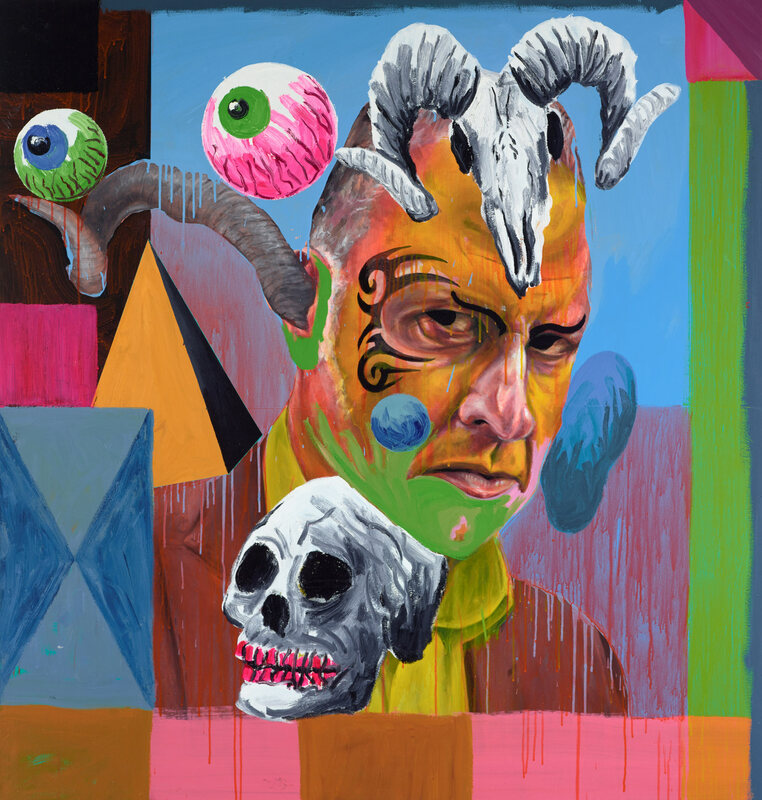 This is his fifth time in the Archibald Prize. He is also the subject of a portrait by Guy Maestri in this year’s Archibald.